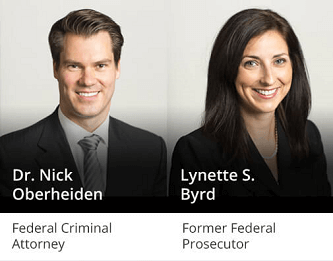 East Texas Federal Indictment Lawyers - Oberheiden, P.C. They are two of the scariest words you’ll ever hear: federal indictment — especially if you’re on the receiving end of one. What is an indictment, though? How does it work, and who decides whether to indict someone? How should you respond to a federal indictment? This page is designed to answer those questions and more. However, while we provide a general overview of federal indictments and criminal charges below, it is important to remember that indictments are incredibly serious matters, and the law surrounding them can be quite complicated. Please never make assumptions or decisions affecting your legal rights without first consulting a criminal defense attorney with specific experience in federal indictments. An indictment is a formal accusation, made by the federal government, that a person has committed a crime. Essentially, this means that serious federal crimes (usually felonies) require the prosecutor to create a formal indictment for the suspect and then ask a Grand Jury to vote on that indictment before officially charging that person with the alleged crime. To fully understand federal indictments, you need to understand the purpose and function of a Grand Jury. The Grand Jury is different from other trial juries. You don’t see real Grand Juries on television. They meet in private and proceed under a more discretionary set of rules. When a federal prosecutor wants to charge a suspect with a serious crime, he or she must first bring the facts of the case to a Grand Jury. At any given time, there may be hundreds of Grand Juries meeting discreetly throughout the United States, often considering numerous potential charges at the same time. The Grand Jury will examine as much evidence as possible and decide whether the prosecution has probable cause to believe that the suspect committed the crime in question. “Probable cause” is a relatively low standard of proof — much lower than the “reasonable doubt” standard required to convict someone. The law allows the Grand Jury to request and consider a broad range of evidence — even evidence that might be prohibited during a later criminal trial. If, after a (hopefully) thorough review, the Grand Jury decides that the prosecution has probable cause, it will approve of the indictment, and the prosecutor will likely file formal charges. If the Grand Jury is not persuaded, it will disapprove of the indictment, and the prosecutor will usually (though not always) close the case without pressing charges. Will I Know if I Am Being Indicted? Not necessarily. Because Grand Juries convene in highly private sessions, shielded by law from public exposure, the subjects of the indictments often have no idea that they are under review by a Grand Jury. Of course, if the Grand Jury approves the indictment, you will find out when charges are filed. If the Grand Jury declines to approve the indictment and the prosecutor elects to close the case, you may never know you were indicted at all. It’s an unsettling thought. If you have been indicted — or believe you may currently be under indictment — on federal charges, you need immediate assistance from an experienced attorney. Unfortunately, many criminal defense attorneys do not have sufficient experience to handle federal indictments on behalf of their clients. Federal charges, and especially federal felonies, are inherently serious crimes. A different set of laws and procedures apply than in state court proceedings. It is critical that you hire a lawyer with specific experience in federal felony defense. Facing Federal Indictment? Our TX Federal Criminal Defense Attorneys Can Help. Federal indictments are extremely serious matters. The federal criminal justice system is difficult to navigate, and the state — that is, the party trying to put you in prison — has most of the power. You need a deeply experienced and seriously aggressive defense law firm on your side. Please understand that federal criminal proceedings differ substantially from state-level criminal matters. You need to hire a defense lawyer with a specific background in federal criminal defense. Oberheiden, P.C. is a national criminal defense firm with extensive experience in proceedings stemming from a federal indictment. We can help you, but you need to act quickly. Please contact us right away.